From the sassy hot pink of blooming roses to the silky orange blossoms of the hibiscus, there are so many picturesque flowers blooming during the summertime that it’s hard to pick just one favorite. So I’ve compiled my first “Top 10 Favorites” for all our flower lovers – I’m not saying these are my all-time favorites but they hold a special place in my heart during the summer season. 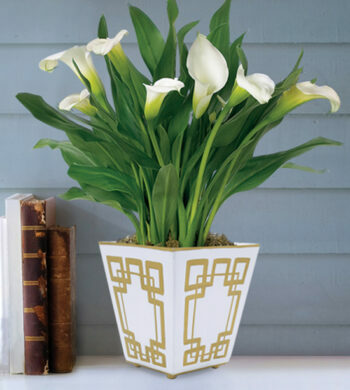 Island Orchids – from the viscaya shell vase to the exotic orchids I love putting these on display when company is over. Many floral conversations ensue. Pink Sorbonne Lilies – lilies last forever and these are no exception! 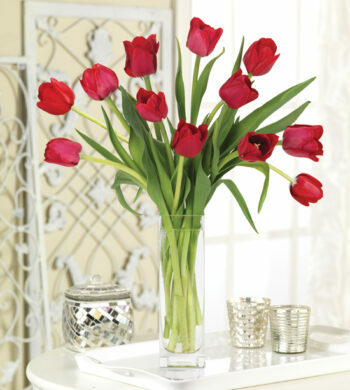 The beautiful blooms captivate while their fragrance fills the room. Butterfly Gerbera Daisies – cheerful, colorful and always fun. You just can’t go wrong in displaying gerbs. Plus, our Lynn Chase “Butterfly Paradise” vase makes the day even brighter. 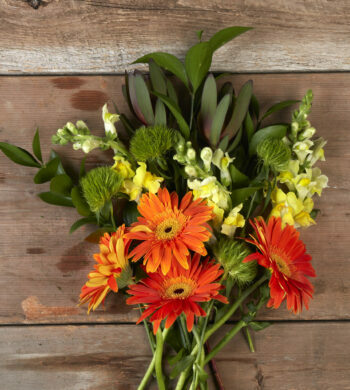 Sunflower Sensation Bouquet – it’s a wonderful way to bring the outside sunshine inside. 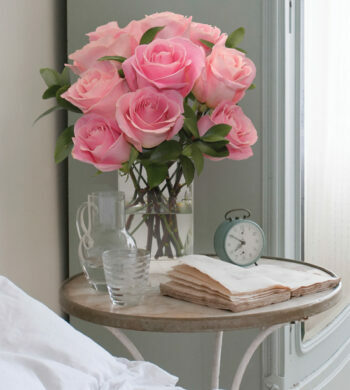 Fair Trade Pink Intuition Roses – such a unique rose with its two shades of pink on every petal, plus feel good about displaying them since you’re helping make a difference. Enchanting Lisianthus Bouquet – purple perfection! I love giving these as a hostess gift as they’re frilly, a little untamed and rich in color but best of all they are memorable. Wild Anthurium Plant – just try and tame this tropical delight. And you know everyone needs some sort of animal in the home. Why not a zebra? Blue Hydrangea Bouquet – always a favorite, always satisfying. I could stare at hydrangea for hours admiring all the little blooms that make up a single stem. Every time I walk by them I want to give them a little pinch. Sago Palm Bonsai – if you can’t be in the tropics simply bring them to you. Nothing says “Island Time” like this little feathery palm. Is it 5 o’clock yet? 10. Hibiscus Plant – you know summer has arrived when the hibiscus are in bloom. It’s so much fun to watch them unfurl throughout the day in bright vivid colors. I always plant mine outside after I’ve enjoyed them indoors.